Wooster Wide Boy Bucket Liner Experiment: Complete Success! 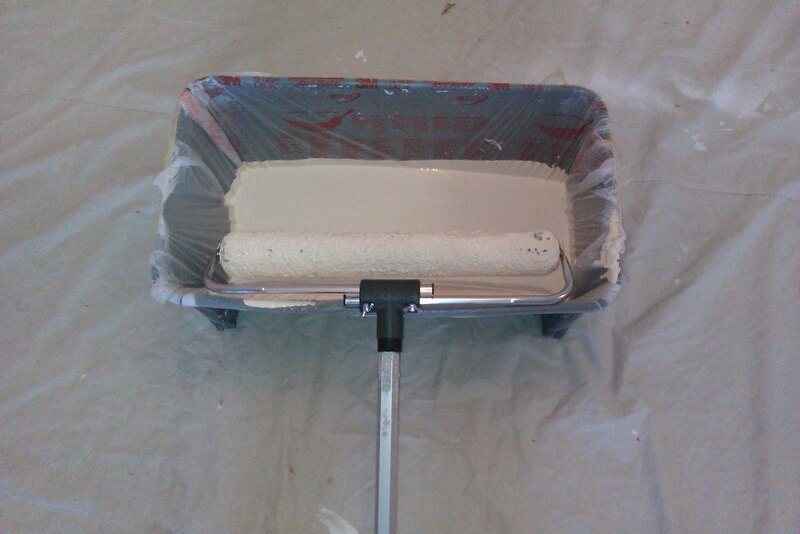 Using an 18'' roller is the greatest thing you can ever do while painting walls. it Speed up the process by 200%. The math is actually very simple because its twice the length of a nine inch roller (No Brainer). But there is one nasty downside to using a such a large roller... the clean up process is the worst. The Wooster Wide Boy Bucket can easy accommodate rollers from 9 to 18 inches in length. It can also hole up to five gallons of paint. 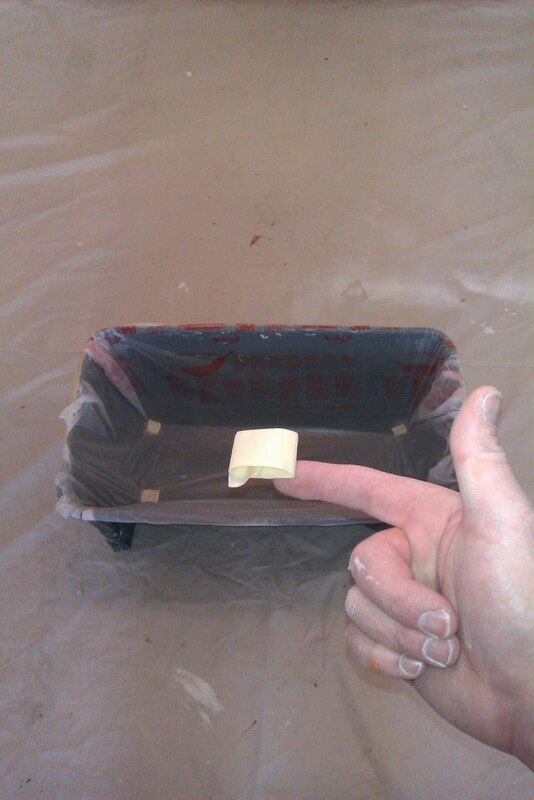 This makes it a huge advantage over a tray when you need to produce and distribute a couple of cut pots to painters. Simply dump the paint out of the cans you have already purchased and brush or 4" roll from those. The Wide Boy is also constructed of polypropylene and will resist build up. 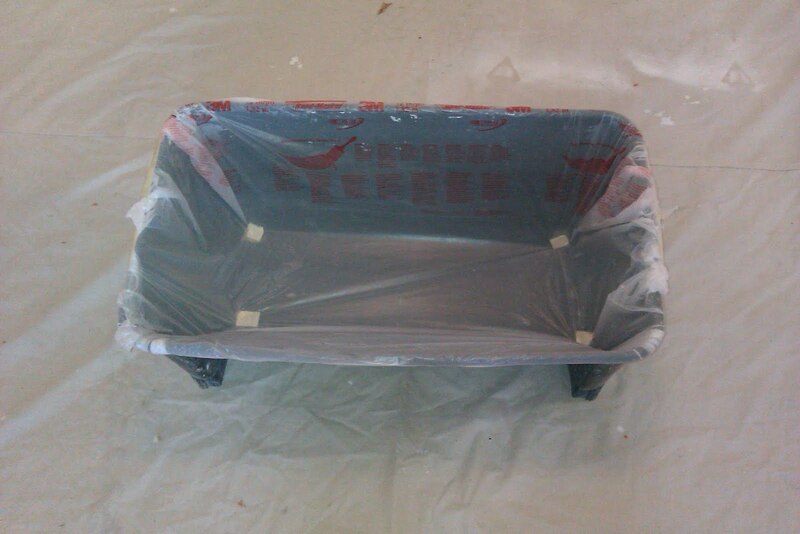 Although the construction material of the bucket will resist build up that doesn't meant that its easy to clean up. Cleaning this thing is actually the worst part of using the Wide Boy and probably scares off more than it attracts! Wooster actually recommends lining the bucket with a 30 gallon trash bag and adding 2 Snap Screens so you can roll. The reasoning behind the snap screens is to keep the plastic from sliding around the inside of the bucket while you load a roller. So this reasoning is not the most sound. Didn't you line the bucket so you didn't have to clean anything? Now you have to clean some 2 snap screens. Wait!? Stop!? We are trying to make this easy right? Wooster doesn't even sell liners for this monstrous painting bucket. One could only begin to imagine the cost of liners. It would be ridiculous. The bucket alone costs $37.99! That's a hard dollar amount for the DIY painter to swallow any how when they can buy disposable trays for around a dollar. The weekend warrior wants to lay down the coating and move on with watching TV, relaxing or something else other than painting. Here is the secret to getting a plastic liner to stay in the bucket while rolling. It is such a simple little thing its stupid. Take a strip of making tape and roll it over onto its self. Place four masking tape loops at the bottom corners of the inside of the bucket. Place another two along the left and right side of the grid. In the photo to the left you can see the loops and the tape stuck to the bucket. Now cut roughly 30 inches off of a roll of 72'' 3m masking film and unfold it. if you don't know what the film is here is a link to an article we wrote about 3m masking film. Now line the bucket with the plastic making sure that the plastic will over hang the sides of the bucket. Secure it on the loops of masking tape and make sure that it is a tight and snug fit from loop to loop. When you are done it should look like the photo to the left. Complete the liner by wrapping masking tape around the rim of the bucket. Now just dump paint into the bucket and roll as you would normally. Clean up is really fast now. Now more washing the bucket out with a rag hunched over a utility sink. Removing the liner is not just a simple tug. You will have to remove the tape from around the rim first and then slide your hands between the liner and the bucket to gently remove the loops or tape. Other wise your gonna end up tearing the plastic and the paint will leak through resulting in scrubbing out the bucket by hand. All will be lost. Its taken a couple attempts to figure this one out but we are happy to share it with you. i see that you used the 3m window film, does it hold up? i picture a errant dip into the bucket a little off center and the roller frame easily ripping the film along the side of the bucket. has this happened and if so did you move up to a heavier mil plastic? i may try a garbage bag. great tip though nonetheless!